Barriers and long cast shadows Conflict and war cast long shadows. They leave behind them bodily and emotional damage. They steal lives, futures and hope. The exhibition Barrier:Zones follows the lives of people whose fortunes were shaped or determined by conflict. Some of the wars finished decades ago, others still claim new victims today. Those portrayed are people with disabilities, fighting to lead dignified lives, each and every day. In the Gaza Strip, in refugee camps, in Congo, in the Ukraine, in the villages of Uganda, Vietnam and Laos. But also refugees in Germany and victims of war trauma in the U.S. Their lives are zones of barriers. Some they have been able to overcome. Others will still require a lot of effort to surpass. Some stories are encouraging, others are saddening. But so says Till Mayer, journalist and photographer, they all have one thing in common: "They demand our respect." 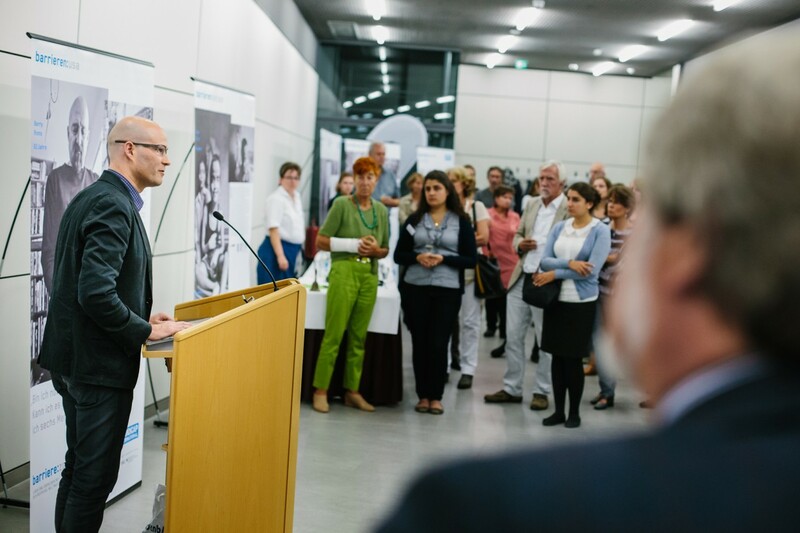 The author of the exhibition has, for many years, told the stories of people with disabilities in conflict and war zones. Many of the people portrayed in the exhibition were supported by Handicap International in their fight for a dignified life. Handicap International and Author Till Mayer would like to thank the portrayed for sharing their stories with him. Behind the pictures hide the stories of the portrayed and the barrier:zones which they surround. Handicap International was founded in 1982 by two French doctors. In refugee camps in Thailand they came across 6,000 Cambodians with amputations and other severe war injuries, and who were close to completely cut off from any humanitarian assistance. 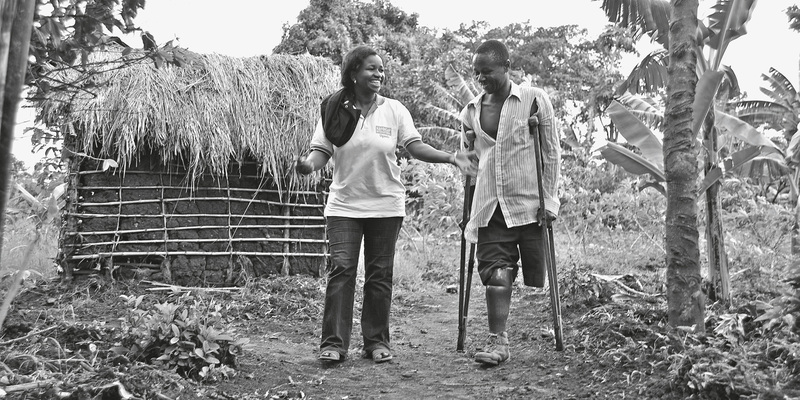 Giving these people a long-term perspective by providing prosthetics and rehabilitation was what became the cornerstone of Handicap International’s work. Today, the international aid organisation is represented in about 60 countries, working on approximately 350 projects around prevention, rehabilitation and inclusion as well as the clearing of ordnances and risk education. Further, Handicap International campaigns for the rights of people with disabilities. The organisation is particularity active in promoting the international ban on mines and cluster bombs, as these weapons affect the lives of innocents even long after wars have ended. Handicap International is a founding member and chair of the International Campaign to Ban Landmines (ICBL), which was awarded the Nobel Peace Prize in 1997, and the Cluster Munition Coalition (CMC). In 2011, Handicap International received the Conrad N. Hilton Humanitarian Prize for its humanitarian engagement, the most prestigious award in the field. 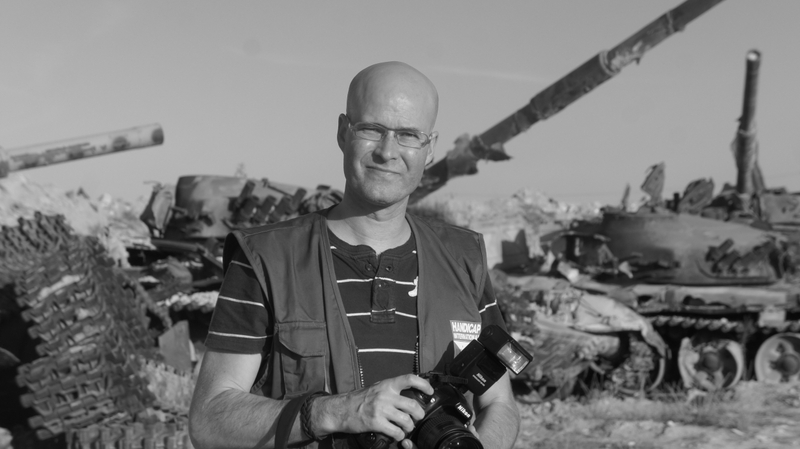 As journalist and photographer Till Mayer has been working closely with relief organisations in war and crisis regions for many years. 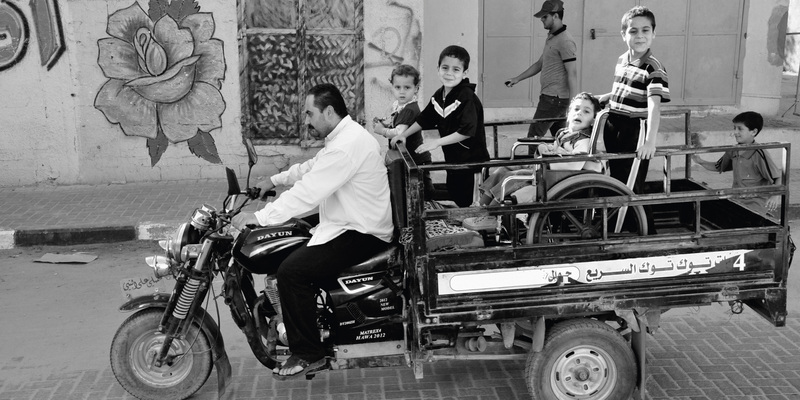 In his work, he often focuses on the struggle of people with disabilities. In his home town, he established the readers’ campaign “Helfen macht Spaß” (“It’s Fun to Help”) that supports people in need in collaboration with charities. As a volunteer, he also supports elderly people in need in Lviv (Ukraine). He is employed as an editor at the daily newspaper “Obermain-Tagblatt”. As a freelance photographer and journalist, he takes photos and writes for numerous newspapers, magazines as well as for Spiegel Online. For his humanitarian Engagement his was repeatedly awarded. Please feel free to lend the photo exhibition with us and invite the author Till Mayer or our pedagogic referents to an event. 11.04.2018 - 26.04.2018: Humboldt-University Berlin / Foyer "Kommode"